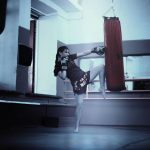 What really makes for the best fitness watch for women? Many fitness tracker companies simply “shrink and pink” their products and call it a women’s watch or tracker. But is that enough for the savvy female consumer? We as women need more than just a pretty band! Although we want the pretty band too, right? My goal is to explore the features that make the best fitness trackers for women and find those rare gems that the perfect fit for women. 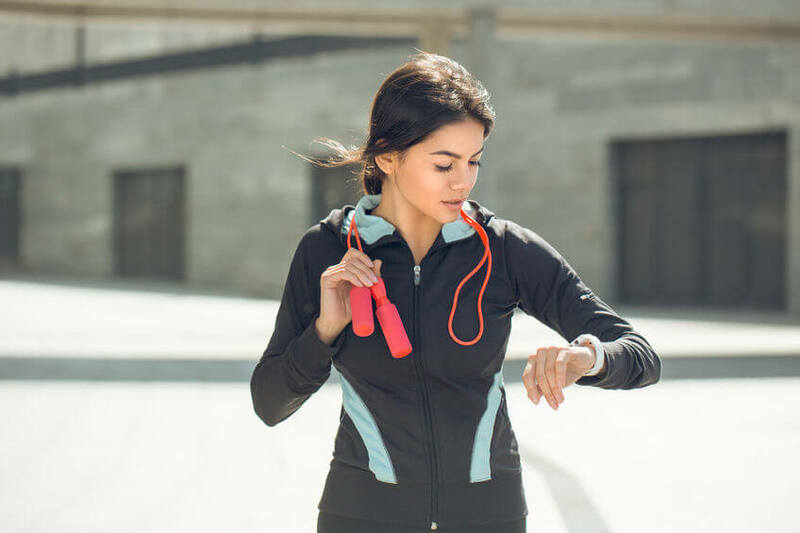 After looking at least 100 trackers I compiled a list of 17 fitness trackers and watches ideal for women and I explain what features each watch or tracker has to justify my choice. I know you are super busy so let’s get to the heart of it! What Qualities Make the Best Workout Watches for Women? While not every fitness tracker on my list has a built in HR monitor, most do. Tracking your heart rate provides valuable data. Your heart rate varies according to what stage of the menstrual cycle you are in. In fact, your HR increases after ovulation. Some special apps can use HR data from your tracker to detect or predict your upcoming period. Stress causes an increase in HR, another metric many of the best fitness watches track. Your HR changes as you sleep. Some of these trackers can figure out your deep sleep or REM sleep phases based on your HR. It is easy to see why a built in HR monitor benefits women. Many of the choices on my list below have some sort of stress tracker based on HR, Variable HR, and even breathing patterns. Stress tracking is an invaluable tool because stress is so detrimental to our health and wellbeing. Several trackers can sense when you are tense and offer quick guided meditation sessions, breathing exercises, or just a gentle reminder to take a short break. 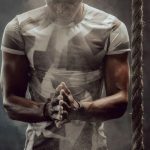 It is my opinion that stress tracking and alleviation tools are among the most valuable features fitness trackers offer. I highly recommend looking for a fitness tracker or smart watch with stress tracking. Does tracking sleep have any value? I mean, what is the point? 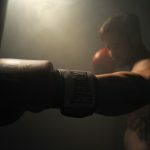 While I researched fitness trackers trying to find the best one, I learned a few things along the way, and one of these things was the value of tracking sleep. While you sleep your body repairs and renews itself so sleep is really important. During the night, our bodies cycle thru light, REM and deep sleep. A fitness tracker or smart watch needs both HR data and motion sensing technology (accelerometers) to detect sleep stages. Waking up during the night can disrupt your sleep, and the healing process of your body. The best fitness trackers will be able to detect how often, and for how long you wake up. All this data gives you insight into your sleep patterns and this insight may help you make changes to your sleep such as being mindful to get more of it. You could make changes in your environment to improve sleep like eliminating lights and noise, or upgrading your mattress. Even drinking less before bed to eliminate a midnight tinkle could improve your sleep quality. The biggest difference between fitness trackers and smart watches is the number of apps they support. Overall, smart watches support more apps, and rely less on your phone to collect, use, and display data. Smart watches can often stand on their own, without requiring a Smartphone app to use in combination with. On the other hand most fitness trackers pair with a Smartphone app to display the data you are after. With that distinction out of the way, let’s talk about app compatibility. Before you pull the trigger on a fitness tracker or Smartphone first make sure it is compatible with your Smartphone. Second, look at the apps the tracker is compatible with to get a tracker that will give you’re the data and metrics you want to see. The clue app tracks your period, ovulation, PMS and fertility. You can even use the app to track sexual activity, pain, your moods, skin, hair, cravings, digestion and sleep and exercise. Clue holds the data to give you a picture of periods past and can notify you when aunt flo is planning her next visit. The app learns about you based on the data you enter into the app. So, how does your fitness tracker play into all this? If you pair your fitness tracker with the Clue app, it uses your HR data in the algorithms to make predictions. Not all trackers are compatible with CLUE, but the Fitbit Iconic is. 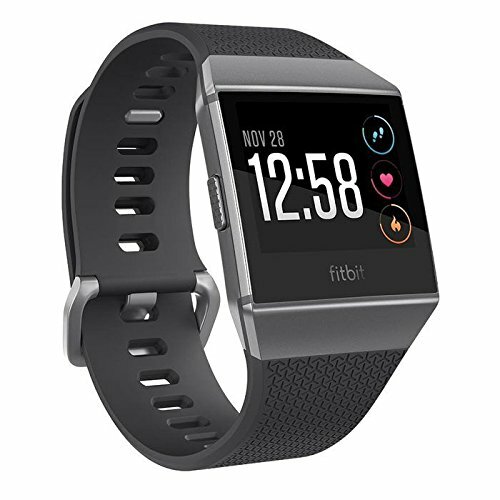 Fitbit has also recently announced their own Female Health Tracker feature available in the newest Fitbit phones making FitBit a leader in fitness trackers for women. Want to learn more about the Fitbit female health tracker? Check out the apps below for more details. This app, recently purchased by Under Armour, is a classic by now, used by countless men and women who use the app to log food, track weight and other fitness goals. The majority of Fitness trackers and smart watches in my list are compatible with this useful app. 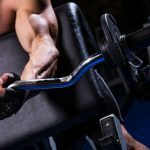 How does My Fitness Pal use your Fitness Trackers data? My fitness pal has several “activity tracking integration partners” which have compatible trackers. MFP takes the Step tracking data and displays a bar on the home screen displaying your step goal and how close you are to meeting it, plus the app shows your step history. MFP also has the ability to use the step data to adjust calorie goals and enter the steps as activity in the app. The Apple Breath app, available on the Apple Watch 3 among other Apple products. This is a mindfulness app that sends you a reminder to take a moment and take a few deep breaths. You can customize your notification frequency and breath session duration. The app also sends “mindfulness quotes” and little bits of motivation. This new and innovative feature is available from one of my favorite Fitness Tracker brands, Fitbit. The stress reducing “Relax” app is available on the Blaze, Charge 2, Iconic, and all new Versa. So just what does this “Relax” app do, exactly? The “Relax” app is similar to the Apple “Breath” app. It sends you a reminder and you choose either a 2 or 5 minute session. Notifications are disabled during the session to allow you to focus. The app uses HR data during the exercise to offer the best inhale and exhale patterns, based on your current Heart Rate Variability. The app offers feedback to let you know how closely you are following the session, and vibrates to give you a tactile reminder when to inhale and exhale, so you can close your eyes during the exercise. Using the Relax app regularly may make you more mindful, relaxed, and calmer, and all it takes is a few minutes each day. Fitbit released the Female Health Tracker recently. This new app is available to all users via the app, plus the Versa and Iconic have the feature built in. Great! 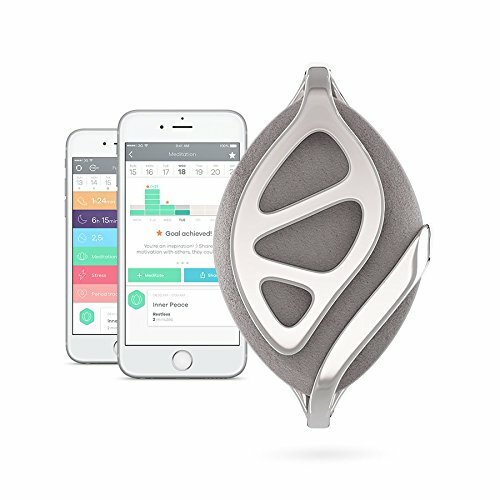 What does this Female Health Tracker do? The app tracks your period, notifying you a few days ahead of time. Displays your predicted ovulation window. 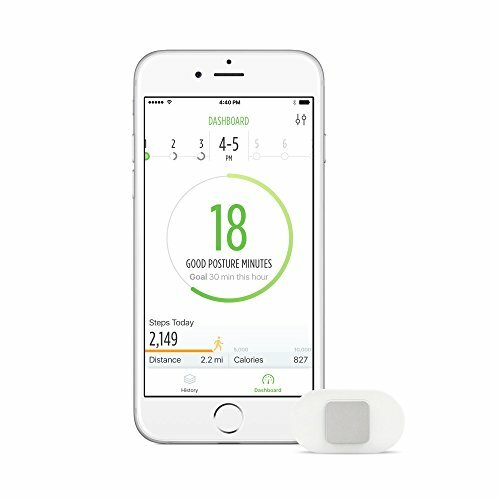 Allows you to track symptoms like flow rate, headaches, cramps, acne and fluid consistency. Displays past periods month by month. Most fitness trackers have this useful feature built in. 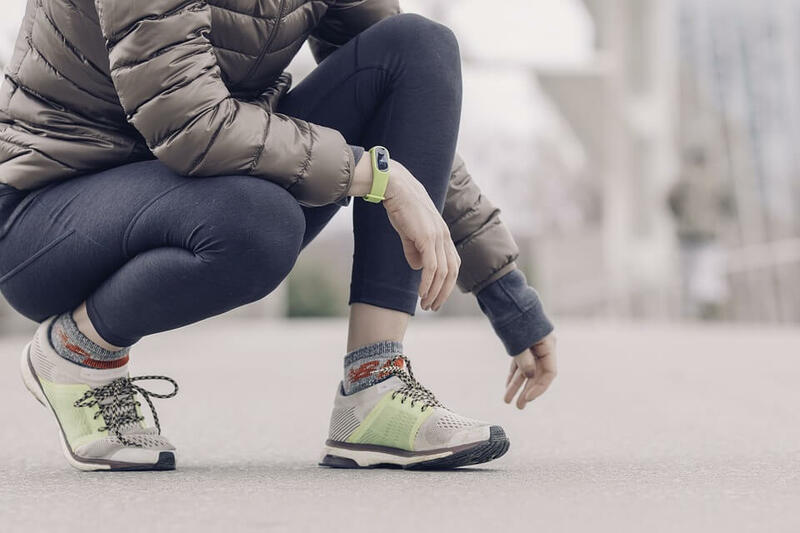 The fitness tracker detects periods of inactivity to offer a gentle reminder to get up and stretch your legs and get a little bit of activity. I would not buy a fitness tracker that did not have this useful yet basic feature. Standard fitness data are these metrics most fitness trackers and smart watches track. This helpful data is virtually a requirement for any of the best fitness trackers. Tracking Physical activity sessions and duration. 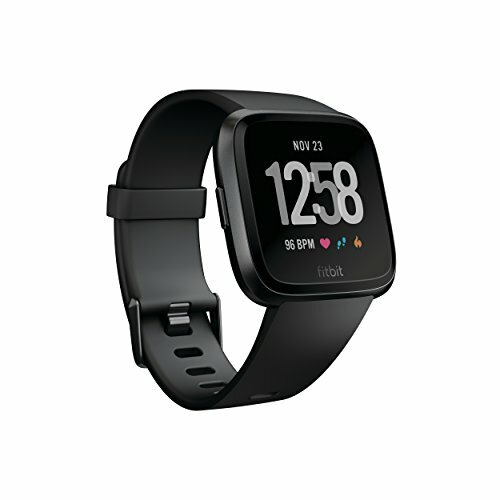 I decided to group these together because virtually all the fitness trackers and smart watches in my list have these essential features so I simply mention in the review that they contain Basic fitness Data where applicable. Now that you have an idea of what the best fitness trackers and smart watches have available for women, let’s look at those 17 reviews. Review: The Fitbit Versa is smaller than the Iconic, making it a popular choice for women. Plus, the Versa incorporates Fitbit’s new female health tracker can track women’s periods, and you can use that data find patterns in your sleep and eating habits if you use the Fitbit to track those. The data can also be used to predict upcoming periods and fertile window, but should not be relied on as a contraceptive. Includes Fitbit’s new Female Health tracker (Tracks menstrual cycle and premenstrual symptoms). Includes the “Relax” feature to track stress symptoms. Light sensor dims LED as day gets darker. Impressive 5 day battery life. Improved and accurate HR monitoring. This is the Fitbit ladies have been waiting for! It is the best Fitbit for women yet! Review: This attractive wearable does not look like a fitness tracker-but it is all that and more. This tracker has the ability to learn about you and paired with the app, can track your cycle, sleep, exercise, stress, wellness activities and more. Plus it tracks the majority of standard fitness statistics most fitness trackers collect. Can be worn as a beautiful piece of jewelry, necklace, bracelet or clip. Tracks the Menstrual cycle, stress levels, meditation and more using tracked data. Uses a battery, no need to recharge. Can be used as a softly vibrating wake up alarm or reminder to take meds. Must enter a lot of data via the app. 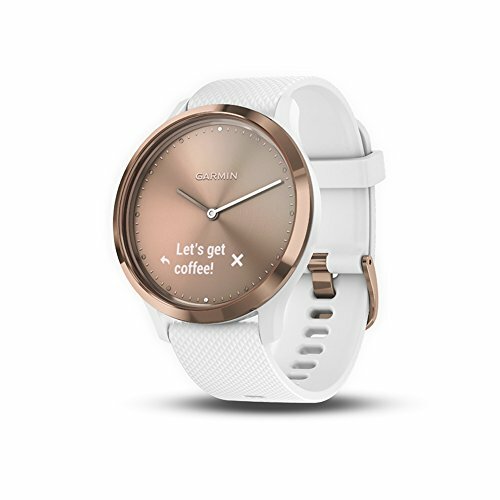 Pretty and motivating- one of the best female fitness trackers in the looks department. Review: The Fitbit charge 2 has all the all important HR tracker integrated. The HR data can be used with third party apps to track things like monthly cycle and stress levels. This Fitbit is also has a “Relax” that guide you through calming breathing sessions. You can use this Fitbit with apps like MyFitnessPal, making the collected data even more meaningful. 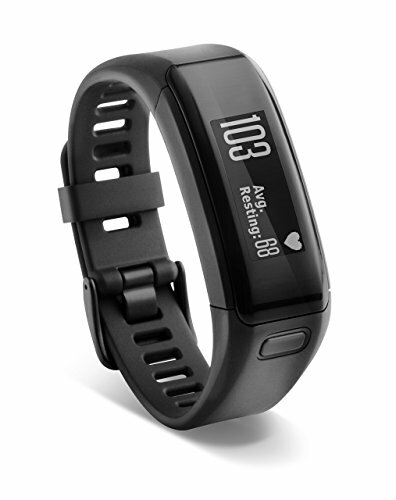 Tracks heart rate accurately and floors climbed- plus standard fitness statistics. Built in Relax feature for guided breathing sessions and the tracker actually monitors as you inhale and exhale. 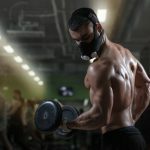 Uses HR, VO2 Max, gender and age data to calculate your personal Cardio Fitness Score. Huge variety of aftermarket bands available. Some mention problems with the band coming loose and the battery not lasting past a year and a half. This Fitbit Charge 2 is a breath of fresh air, and one of the best Fitbit for women available. Review: This slim Vivosmart HR looks more like a bracelet than a Smartphone, which makes it a popular choice for ladies who have slimmer wrists. The Vivosmart includes several female friendly features, including an HR monitor, a mindfulness feature that helps you wind down under pressure, plus the wake up alarm on the phone is actually loud enough to rouse you from your slumber. Incorporates a feature with guided mindfulness exercises. Compatible with My Fitness Pal app. Sedentary “move” reminder lets you know you need to get up and stretch your legs. Tracks HR and displays on screen, continuously while in workout mode. “Find phone” displays a bar showing you how far you are from your phone. Does not track running time nor calories burned accurately. 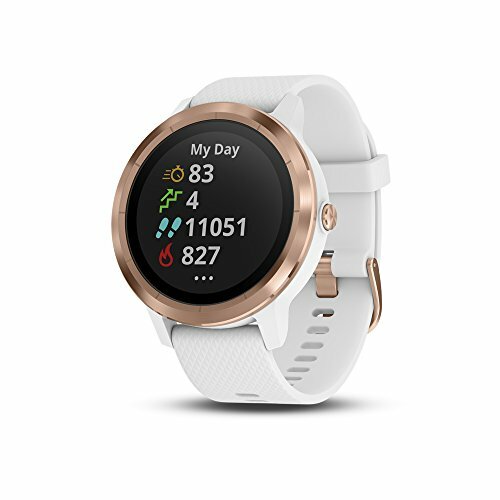 One of the top fitness watches for women with HR monitoring. Review: If you have children, you know how important it is to stay connected, even when you can’t have your phone by your side. The Fitbit blaze displays important text messages on screen which can be discreetly read during an office meeting or even during a spin class, so you won’t miss important news from home. 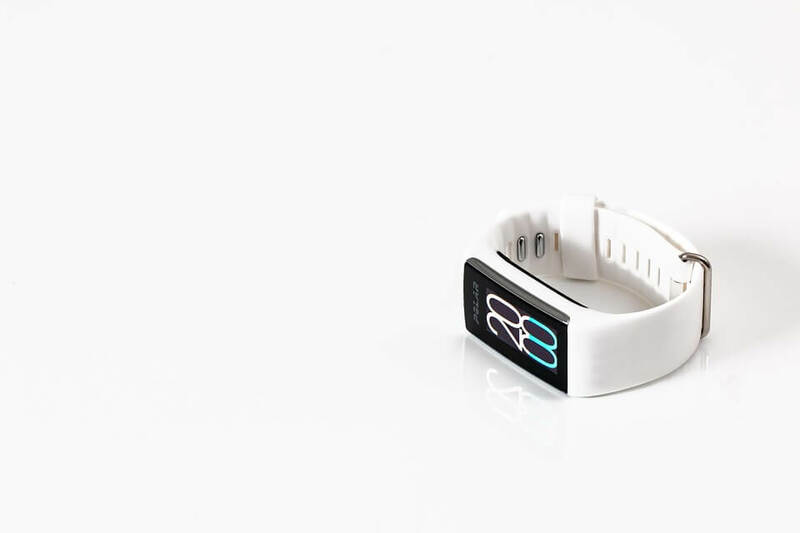 Pair that with The blaze’s built in “Relax” feature, the Blaze’s small size and wide variety of beautiful bands available and this may be the best activity tracker for women. Yoga and cross training setting in the exercise menu. Integrated “relax” feature offers guided breathing exercises. Compatible with FitStar, which delivers on screen guided workouts directly to the watch. Smartrack feature automatically logs workouts in case you forget. Battery does not last as long as other Fitbits, maybe two days. A smartwatch for women packed with features and a realistically readable screen. Review: This Garmin Vivoactive is perfect for the woman on the go. 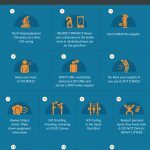 Not only does it have 15 specific workout profiles, including yoga and swimming, but it allows you to create custom workouts for strength training to count reps and sets. Plus you can wear it in the shower after you work up a sweat. Need a ride? No problem, the Vivoactive 3 will let you know where your Uber is at so you are not late for your next important date. Includes workout profiles like yoga, elliptical and stair stepper, plus you can enter your own custom workouts. Uses Fitpay so you can pay with your smart watch using visa or MasterCard. Monitors HR, Vo2 max and stress levels. Displays daily fitness and stress score. Takes a while to sync. 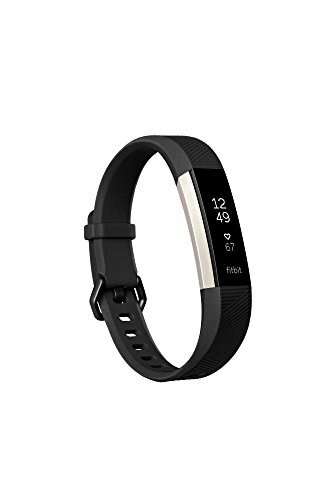 Best women’s activity tracker 2019 for the no nonsense busy woman on the go than needs a smart and classy looking tracker. Review: The Apple watch is not a fitness tracker in the traditional sense, but it does everything a fitness tracker does and then some. You can connect to apple music and have your music at your fingertips while you workout, plus it pairs with compatible gym equipment to accurately track your movement. Compatible with innovative apps like YogaGlo which gives guided on screen yoga classes, or Zova, a personal trainer, exercise tracker and motivation app. “Breathe” App relaxes you by helping you focus on breathing. 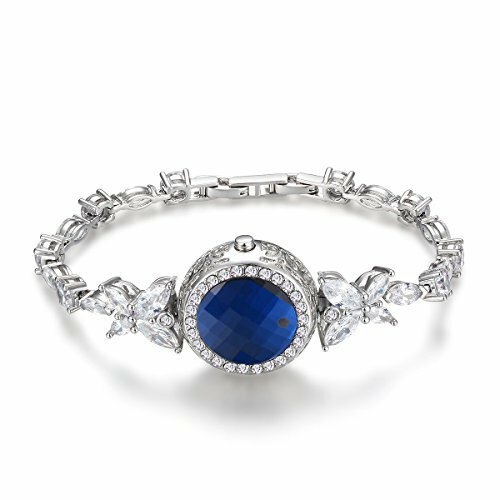 Several attractive and feminine bands to choose from. Includes Siri, the voice activated assistant for hands free use. Uses GPS, an altimeter, Gyroscope and accelerometer to track movement and exercise. 18 hr battery life. What? At least it has a super easy to use magnetic charger. Yay! 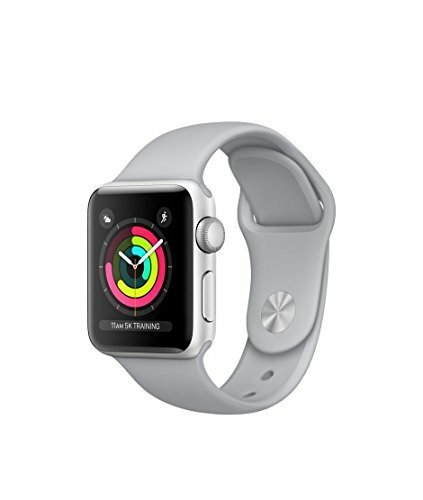 The Apple Series 3 earns the title best women’s fitness watch 2019 for all the awesome features and available apps. I love this watch so much, and it is so versatile, I also included it in my best fitness trackers for CrossFit list. Review: The Fitbit flex activity band is very discreet, almost bracelet like tracker. It has no screen but syncs to a computer or phone to view data and reports. Has a silent vibrating alarm to wake up without disturbing your partner. LED light bar indicates how much of your goal you have reached. Both USB and wifi syncing to computer or Smartphone. Step counter may not register if your arms are not moving. 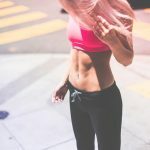 Best cheap fitness tracker for women with a great battery life and all the basics you need to keep your health on track. Review: The Vivomove HR is one of the most attractive fitness tracking watches available-in fact it does not like a fitness tracker or smart watch, but appears to the casual observer to be a stylish traditional watch. In contrast to its classic look, this watch actually incorporates a HR monitor, has a discreet digital display that shows u only when needed, and has all the basic fitness tracking features you need to improve your health. Includes an all day stress tracker and built in relaxation timer with guided breathing. Realistic looking watch display with discreet digital display that blends into the background. Displays fitness monitoring metrics like V02 and fitness age. Sometimes hard to read the display outdoors. Classy and functional, my choice for best women’s fitness watch. Review: This is the only wearable that can track your breathing patterns and 7 years of Stanford University Calming lab research has proven this device reduces stress. This little device will help you identify patterns and learn what your triggers are, while gently reminding you to take a break when things get to tense. Tracks breathing patterns and stress as well as notifies you when it is time to relax. Tracks basic health data, in addition to respiration. Is a small, discreet clip style wearable with no screen. App incorporates guided breathing and meditation exercises. Battery life of 10 days. Only stores 6 hours of data, so you must sync every 6 hours or keep connected to the app to have all day data. This research backed wellness tracker also includes basic fitness tracking steps calories burned and more. Review: The Fitbit Iconic has an integrated HR monitor and tracks variability and when it detects changes it offers personalized breathing exercises to get your HR back on track. 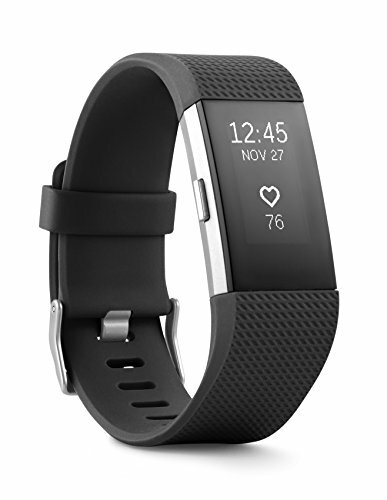 The Fitbit Iconic is a favorite for women because it includes the Fitbit coach feature with guided bodyweight workouts for all fitness levels you can do anywhere, without the use of your phone- the Iconic is all you need. 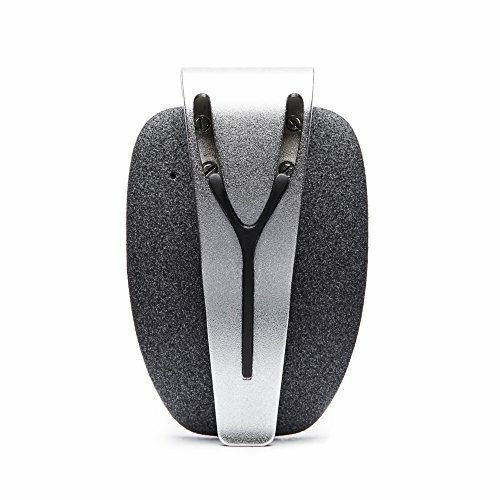 HR monitor that tracks HR variability and offers breathing exercises. Compatible with Fitbit coach and FitStar apps. Built in GPS to accurately track your runs. Store and play up to 300 songs or sync to Pandora. 4 Day battery life (2.5 days longer than the apple watch, folks). Must pay for Pandora, Fitbit Coach and Premium Firstar to access all features of those apps. Fitbit has developed a line of products based on an active lifestyle and the Iconic blends into that way of life flawlessly. Review: This newcomer on the market certainly is the most beautiful fitness tracker I have seen with a sterling silver bracelet and gorgeous butterfly SWAROVSKI Crystals accents. It also has the distinction of being the only tracker I know of that detects the intensity of UV light and lets you know if it is time to put on some sunscreen. This tracker also monitors all the basic fitness data you would expect (but no HR monitor). The bracelet uses a soft light instead of vibration to notify you of incoming texts and calls. Very attractive, made with real silver. Gauges ambient UV light and notifies you of the UV level. Tracks steps, calories, distance, sleep monitoring. SOS help function can send an emergency message to a loved one. Supports remote camera picture taking. Does not track Heart rate, no HR monitor. Not water (or shower) proof. 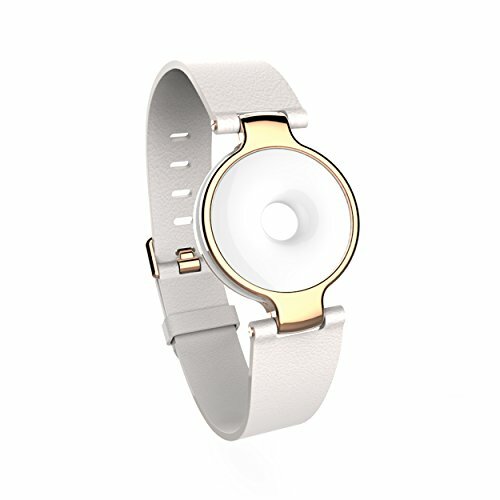 Novel and stunning fitness tracker for women with UV monitoring. Review: One of the best features of the Alta HR is that it can track your workouts without the need to enter them. Just get moving and the Alta knows what’s up. It also has a built in HR monitor, which the previous Alta did not. This Fitbit also knows how long you spend awake with the lights on and can distinguish sleep stages like REM and deep sleep so you can get a picture of your sleep quality. Included Fitbit app allows you to log food and weight while the Alta tracks calories burned, steps, distance and activity minutes. 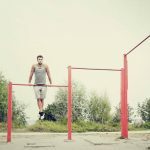 Compatible with Fitbit Coach guided bodyweight exercises. Automatic activity tracking no need to tell the Alta you are working out. If you want to manually start a workout you must use the phone app, this tracker tracks workouts automatically after detecting exercise activity. 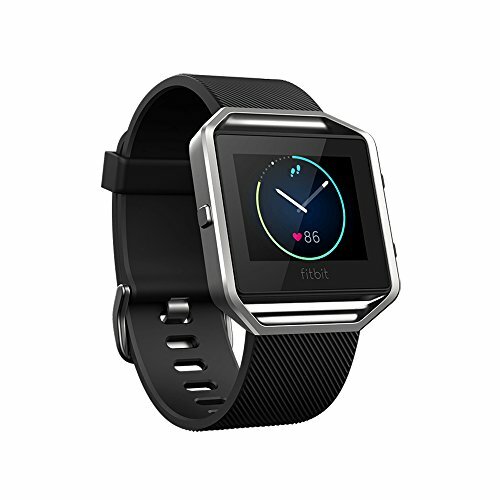 This is one of FitBit’s smallest trackers to include the HR monitoring technology. 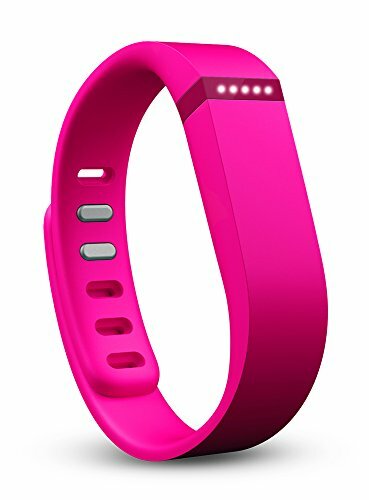 Best Fitbit for women who are active. Review: The Garmin Vivo fit is a simple tracker, which is part of its charm. It tracks steps, miles walked, calories burned and creates a steps goal based on past performance. The best thing about this tracker is the batteries last for over a year before you need to replace them, that means you never need to recharge this tracker. Replaceable battery lasts 1 year, means you won’t have to charge the tracker. Can pair with an HR strap, something most Fitbits cannot do. The app allows you to track weight and progress, set sleep monitors, join others in friendly step competition and more. Waterproof for shower and swimming. No built in HR monitor, can pair with a HR strap. Uncomplicated, affordable, effective fitness tracker. Best activity tracker for women who want something simple. Review: It is amazing that this ring shaped tracker is small enough to wear on your finger, and has a built in heart rate monitor. 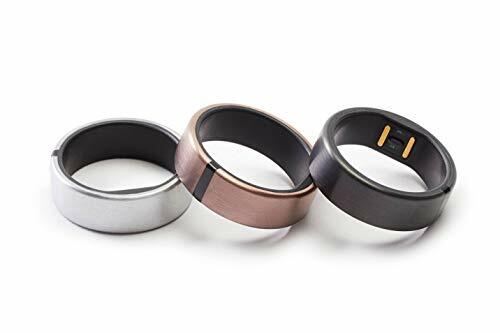 This slim titanium ring comes in rose or grey to match your style and tracks all the basic fitness metrics you care about plus heart rate. Simply beautiful! Slim wearable ring in 7 sizes. 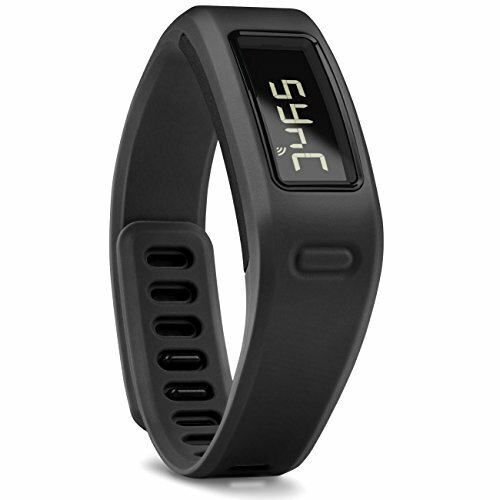 Tracks steps, calories, HR, activity distance and sleep. No alarms or notifications on the ring, notifications made through the phone. The only fitness tracker in a ring with a HR monitor. An amazing piece of equipment. Review: The Lumo lift is a posture monitor and improves your appearance by helping you practice good habits. More than this, the Lumo lift also monitors basic fitness data like steps taken, distance traveled and calories burned estimates. The tracker is worn near your collarbone to more accurately sense when your posture is off. Gently vibrates to alert you when you slouch in real time, no need to use the app for this feature. Can gather a months worth of data without the need to sync to the app. Battery lasts a little longer than two days. Must be worn on snug fitting clothes, close to the body. Become mindful of your posture habits in real time while also tracking basic fitness data with the Lumo lift. Review: This pretty tracker comes in two versions, Moonbeam and Equator. Moonbeam is a white ceramic disc encased in a gold colored frame and white leather band. The Equator is a minimalist design with the ceramic disc and matte black band. These trackers look like jewelry or accessories and no one would guess they are fitness trackers-but they are. They track steps, running, sleep time and calories burned. One of the lightest trackers on the market today, plus it does not look like a fitness tracker. Offers a silent vibrating alarm to gently wake you without disturbing anyone else. Charges quickly and holds a charge for up to 7 days. Band clasp can come lose if knocked against a desk or hard object. The minimalist tracker for the woman who likes to keep things simple. These are 17 of the best fitness watch for women that I found. If you have a watch that you love let me know in the comments below and I will check it out! 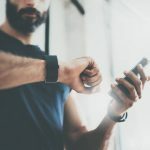 Be sure and subscribe to the newsletter for more news of wearables and other fitness related content straight to your inbox.